You guys know that I LOVE to try out beauty treatments and the more unique the better! 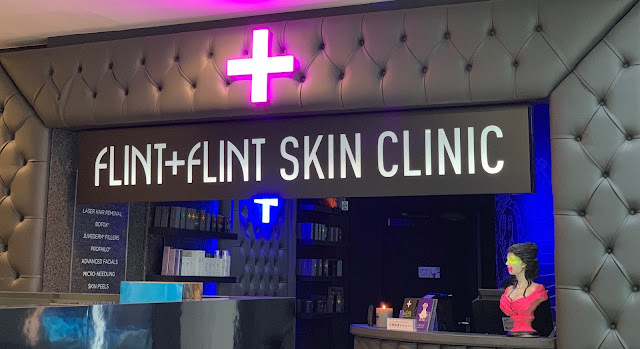 I recently had the opportunity to discover traditional chinese medicine methods at Flint + Flint in Harvey Nichols Manchester with Guru (Helen) Fa! 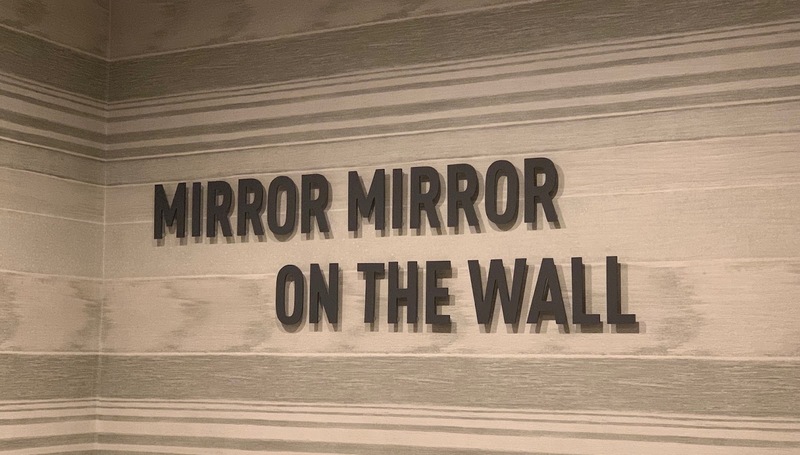 I must admit that before my appointment I was very ignorant in terms of what Chinese Medicine actually entails and it does still seem like a quite magical, 'out of body' concept! Traditional Chinese medicine is a style of traditional medicine based on more than 2,500 years of Chinese medical practice that includes various forms of herbal medicine, acupuncture, massage, exercise, and dietary therapy, but recently also influenced by modern Western medicine. TCM is widely used in Greater China where it has a long history, and recently it has begun "gaining global recognition". One of the basic foundations of TCM is that "the body's vital energy (ch'i or qi) circulates through channels, called meridians, that have branches connected to bodily organs and functions. I bet you are thinking, ok great, so why offer traditional chinese medicine at Flint + Flint which is predominantly a concept skin clinic? 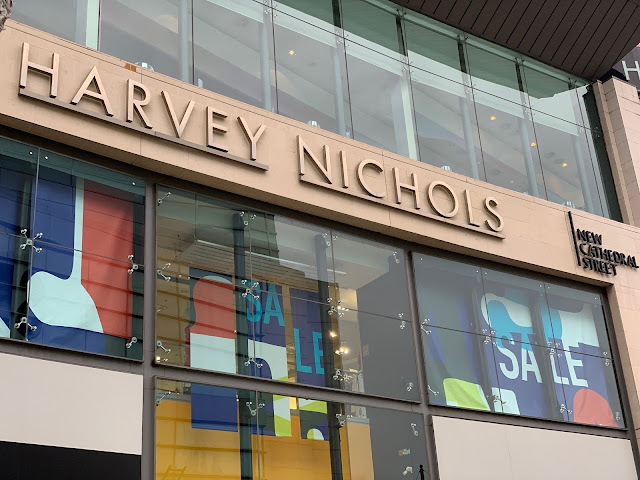 The treatments, which are exclusive to the Manchester clinic in Harvey Nichols, use various Eastern mind and body practices, such as acupressure, to treat or prevent health problems. An expert in Traditional Chinese Medicine (TCM) and Contemporary wellbeing therapies, Helen Fa successfully completed a 3-year master’s degree in Social Medicine and Health Service Management at the Nanjing University of Traditional Chinese Medicine, China. This was followed by a 4-year undergraduate study in BSc Rehabilitation Therapy. Her academic achievement resulted in Helen being offered an internship at a highly renowned Chinese hospital - Shanghai Huashan Hospital. Thereafter, she secured a management position at Chinese healthcare group until she decided to relocate to the UK and join Flint + Flint. Coming from a family full of Doctors, Helen’s motivation for studying medicine and new treatment methods is one she developed from an early age and her passion for combining Chinese and Western therapies has become a reality at Flint + Flint. Rooted in the ancient philosophy of Taoism, Traditional Chinese Medicine dates back more than 2,500 years and is a type of holistic and natural health care system. Based on the belief that Qi (the body's vital energy) flows along meridians, 12 core channels in the body that relate to specific organs and keeps a person’s spiritual, emotional, mental, and physical health in balance. Traditional Chinese Medicine aims to restore the body’s balance and harmony between the natural opposing forces of yin and yang, which can block qi and cause illness, pain and physiological or mental complaints. Western medicine often relies on pharmaceutical therapies to address health issues, while Chinese medicine relies on more natural substances. Conditions that can be treated to name a few include; chronic pain, back or neck pain, muscular aches, frozen shoulder, gynaecological problems, digestive issues, weight concerns, breast issues, stress, insomnia, dizziness, headaches, high/low blood pressure and circulation problems. Treatment at Flint + Flint with Helen also includes advice on how to manage your pain or wellbeing between sessions to restore the body’s natural functions. Depending on the severity of the condition Helen may recommend lifestyle changes and other complementary medicines. My only experience to date with anything remotely like this was when I had accupuncture as a part of physiotherapy treatment on some shoulder problems I was experiencing so I really did not know what to expect from my appointment with Guru Fa.We decided to address some back pains I have been experiencing as I think she could tell it was causing me anxiety and affecting my moods. Now, without going into major amounts of detail about what caused it, I have been suffering with a really really bad back after an incident at The Albert Hall in Manchester. I have been feeling pretty awful to be honest and the pain I am in pretty much all day every day is horrible. My movement is awkward and restricted because of the pain therefore it has meant that my upper back and neck have been super tense and knotty! I am seeking physiotherapy treatment for the mid to lower part of my back which was directly impacted by the incident so I asked Helen if we could try and work on the areas that were 'suffering' indirectly and causing me additional pain, namely my upper back, neck and shoulders. Helen gave me the most wonderful massage and whilst I can't explain what was different per se, it was unlike any massage I have had before. It was extremely precise and I can only really describe the movements as feeling like every muscle fibre was followed and relaxed from their tensed up 'protective' state. You can very much tell that Helen is highly experienced in this area and whilst my lower back isn't there yet, it was fantastic to get some relief from the massage in my upper back, neck and shoulders. It was a deep tissue style massage but interestingly I did not get the headaches nor did I feel ill afterwards which is usually the case for me when any knots are worked out. I so enjoyed the treatment and I feel a lot more positive since. I had been feeling really down about how much pain I was experiencing and had been worrying about how long it was going to take to feel normal again and back to my old self. I know I am not there yet but the treatment with Helen gave me hope and reduced my general discomfort which has been most welcome! I have felt positive and encouraged enough to brave the gym again which has just been completely off the cards since the incident as my whole back, neck and shoulders have felt like they were locked up and the smallest movements have caused significant pain. I am taking it slowly and just stretching and doing hilly walks on a treadmill but it's something and I am so grateful to Helen for helping me feel like I can do it. Let me know if you book in and how you find it!